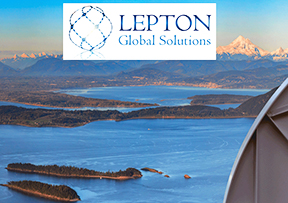 Lepton Global Solutions has expanded their Asia-Pacific network service offerings and customer market. During the last year, the company significantly increased its Pacific network service presence, adding multiple government, military and commercial customers from the North American mainland to remote Pacific islands. 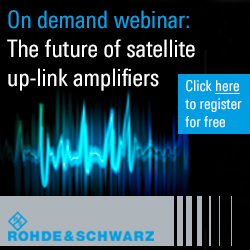 Since launching services in the Asia-Pacific region in 2016, Lepton has seen a steady increase in demand for satellite communications from Alaska’s Aleutian Islands chain down to the U.S. territories between Hawaii and Southeast Asia. The company now offers Ku-band satellite coverage across the Pacific via Eutelsat’s 172B (172°E) and 70B (70°E) satellites, as well as Ka-band services via Inmarsat’s Global Xpress network. A new managed network on Eutelsat 174A (174° E) is planned to debut in the second quarter of 2019 in support of a government customer. Lepton also recently supported a DoD exercise on JSAT2B’s Pacific and South beams in C- and Ku-band. Rob Weitendorf, Managing Partner at Lepton Global Solutions, said the company's hub infrastructure at Hawaii Pacific Teleport enables the firm to offer an entirely U.S.-based solution where needed in a region with a large foreign-owned service provider footprint. Lepton selected HPT as a strategic bridge from the U.S. to the Pacific and are glad to be supporting the increasing requirements of the company's commercial and government customers in the region.